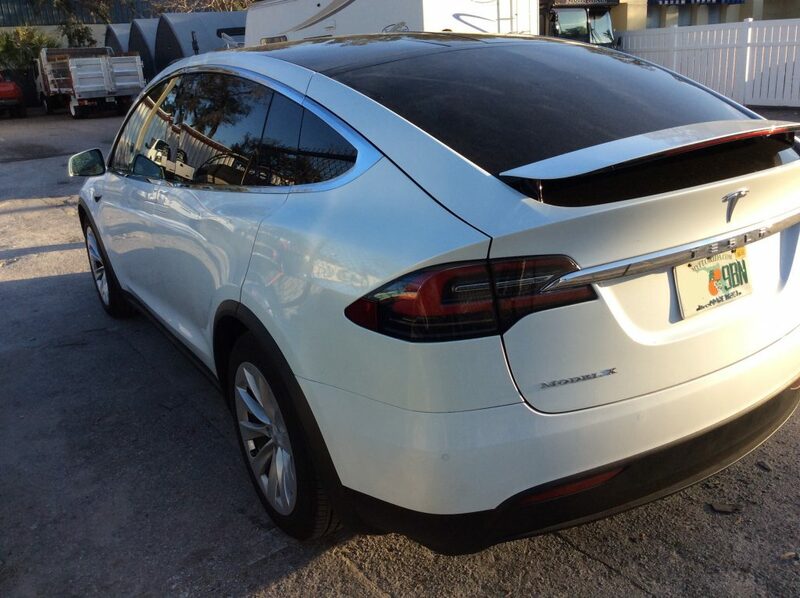 There are two reasons window tint for a Tesla Model X in Orlando are so important: how your car looks today, and how it looks in five years. Because when we apply a ceramic window tint, your Tesla will look better than ever on the exterior that very same day, and thanks to the prevention of interior damage caused by UV light, it will look great inside even after years of being driven and parked in that famous Orlando, FL sun shine. The primary benefits of ceramic car window tint in Orlando are the reduction of UV damage to the interior of the car and the reduction of interior heat caused by the sun’s infrared light. This type of car window film also reduces the harsh glare of the sunlight by day and oncoming headlights at night but without reducing the clarity of your view out through the windows at all. 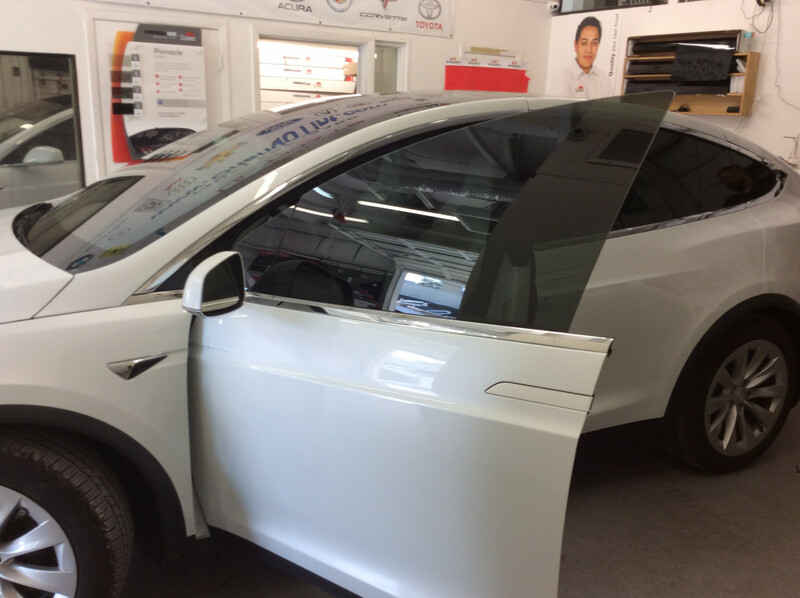 Car window tint can also add privacy and enhance the looks of your vehicle, and we’ll gladly help you choose the best Tesla Model X window tint so your ride is as attractive as it can be. 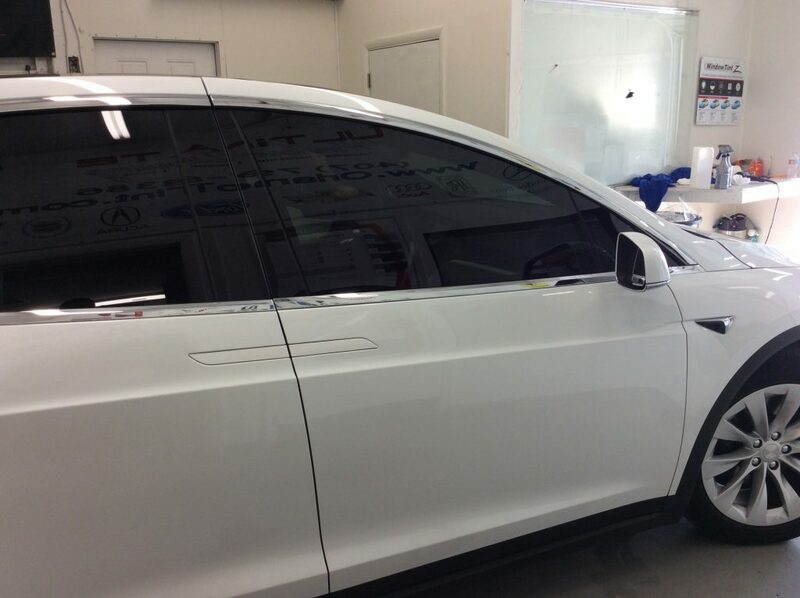 In Orlando, Tesla Model X paint protection film is one of the most popular products we offer. Folks in this part of Central Florida spend a lot of time in their cars, and that means a lot of potential damage to the vehicle’s exterior. Pair protection clear bra film forms a protective layer over the car that’s invisible to the naked eye and will absorb the damage caused by bits of debris bouncing on the road, minor scratches caused by car doors in parking lots, or from scuffs caused by hedges, branches, or other things out there just waiting to scratch the paint on your prized Tesla. Over the years for which you own your Tesla Model X window tinting will actually pay for itself. By preserving the quality of the interior of the vehicle, your car’s window film will help the car maintain its resale value, ultimately making it more than worth its expense. In a perfect world, your car would never be scratched or scuffed. In the real world, cars always end up with all sorts of minor cosmetic damage that can add up to major costs in all the repairs and restoration. A smarter financial move is to invest in clear bra paint protection film that can be removed and replaced wholesale if needed.